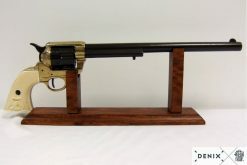 OR Free Shipping on orders over $150! 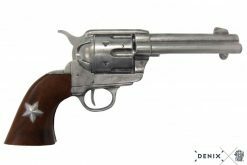 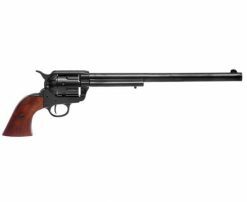 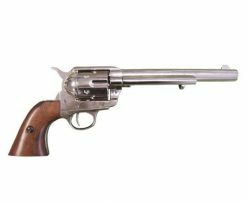 .45 caliber Peacemaker revolver 12″, designed by Samuel Colt, USA 1873. 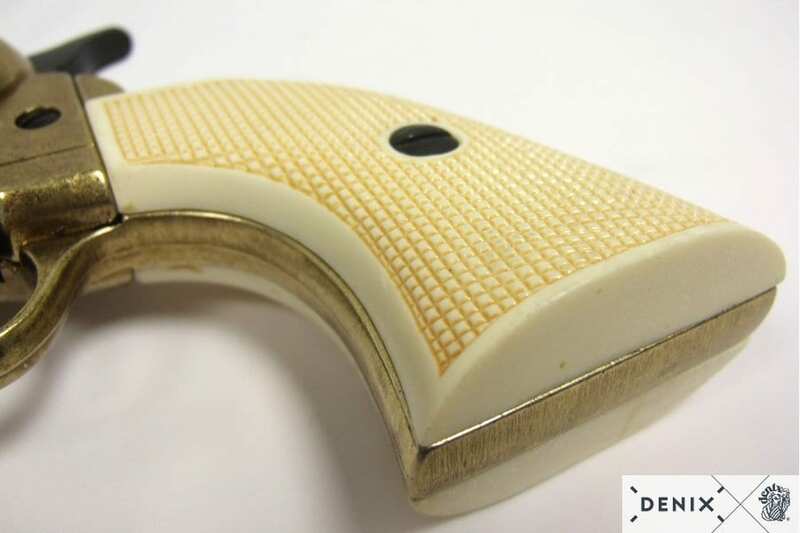 Read our Frequently Asked Questions (FAQs) here! 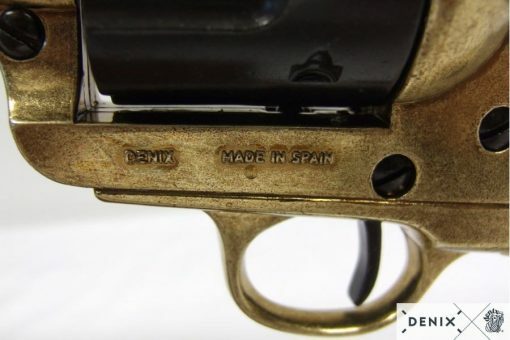 Also known as “Single Action Army”. 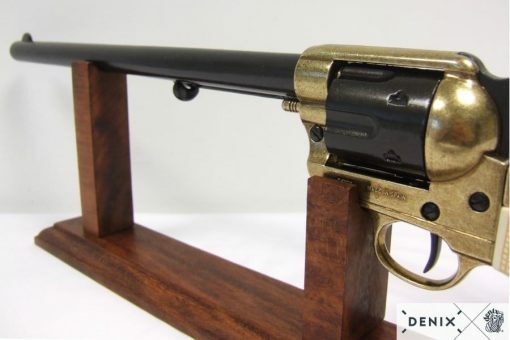 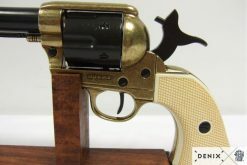 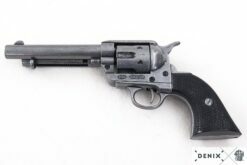 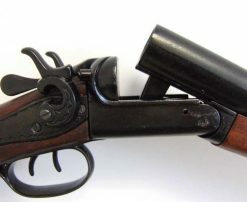 Initially used by the US army, it is the quintessential revolver and possibly the first reliable handgun of history.It was manufactured with different barrel lengths: short version, 4.75 inches, the longer forms, of 5.5 and 7.5 inches, or the imposing “Buntline Special”, 12 inches, used by the legendary Wyatt Erp Service with the Peace Commission of Dodge City; It has received several nicknames: “Frontier” or “Widowmaker”.The fact that it used the ammunition of the same caliber than the Winchester rifle M1873 used, made it become the most famous gun in the Old West. 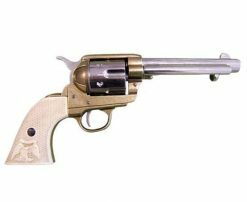 The film industry mythologized the “Peacemaker” in westerns films of the 40s and 50s. 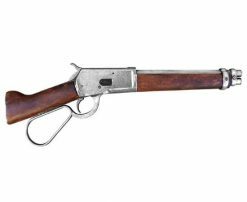 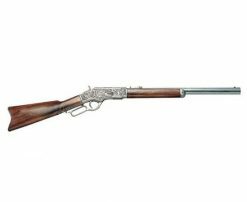 The Colt 45 is one of the longest guns ever manufactured; Roosevelt had one engraved with his initials and George S. Patton used two. No gun licenses are required for replicas. We ask that all customers be 18+ and use common sense. 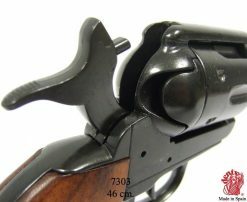 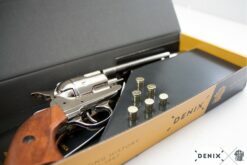 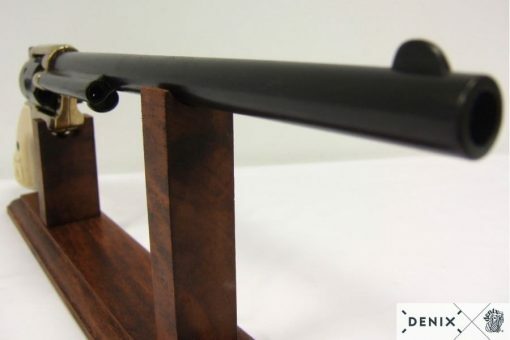 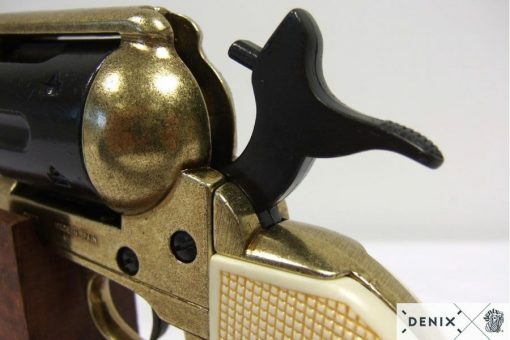 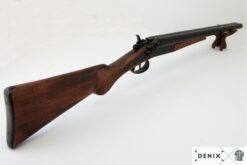 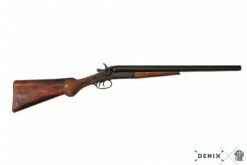 Non-firing Denix replicas are designed to resemble the same weight and mechanics of the originals, but at the fraction of the price. 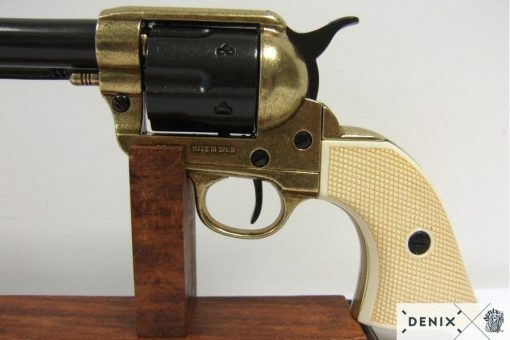 Note: cylinders on replicas are NOT removable. 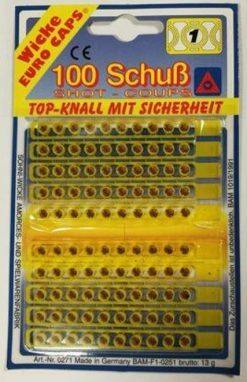 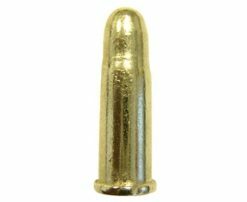 Shells used are slightly smaller than a regular .45 shell. 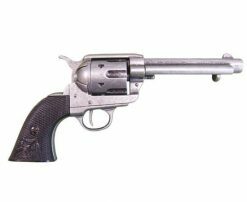 Perfect for general displays, cosplay, historical reenactments, University theatre departments, or just simply decking out your basement! 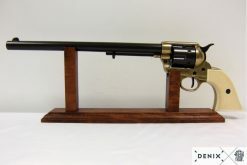 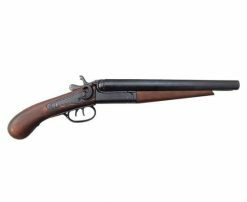 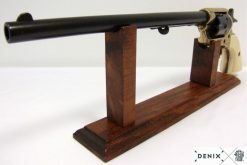 All Replica Guns ship out within 1-4 business days depending on availability. 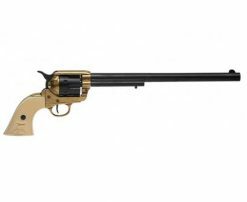 Shipped from either our Calgary warehouse to customers in Western Canada or from our Toronto warehouse for eastern Canada customers!